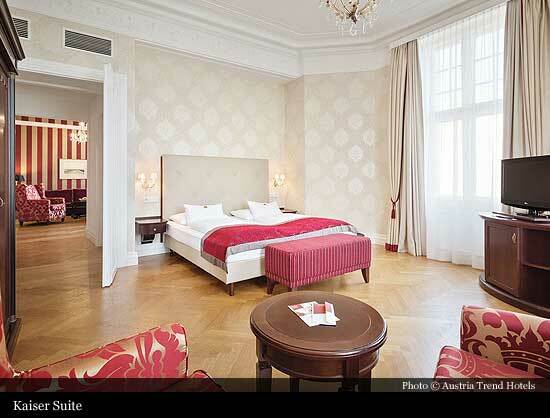 The hotel is located in the carefully restored former guest house of Emperor Franz Joseph I. 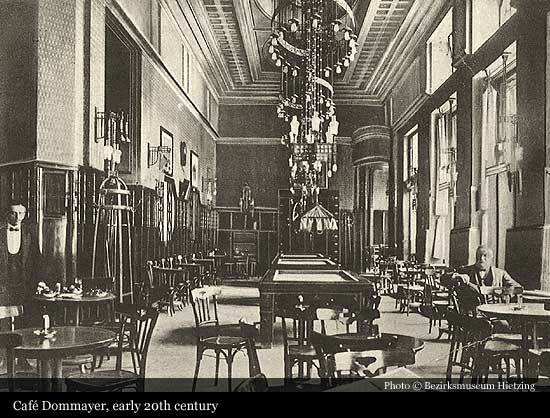 It was originally a rest stop, opened in 1787, which was taken over by Ferdinand Dommayer in 1823 and expanded into an inn. 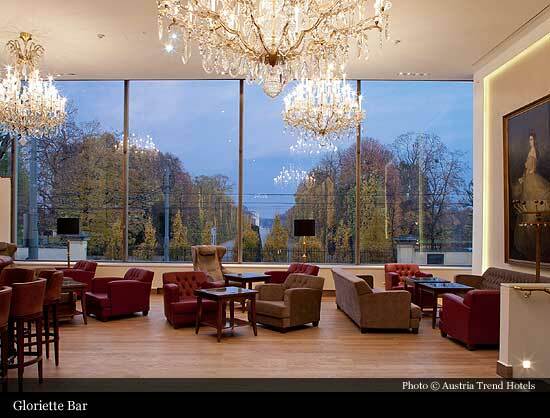 In the decades that followed, it was transformed into the venue for lavish balls, and became a byword for the Viennese lifestyle. 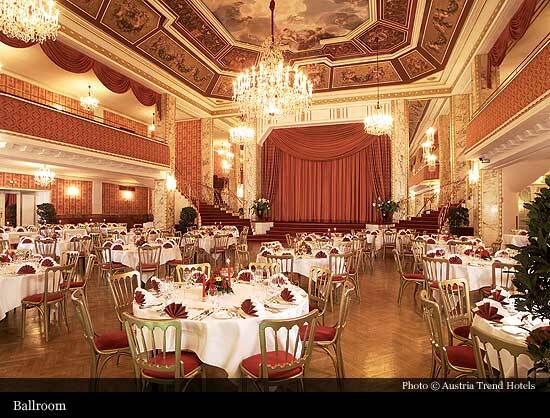 Numerous works by Johann Strauss the elder and younger, as well as their contemporary Joseph Lanner, were premiered here. 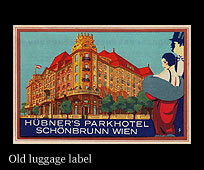 The Parkhotel Vienna was constructed from 1907 to 1908, according to plans drawn up by the Austrian architect Arnold Heymann. 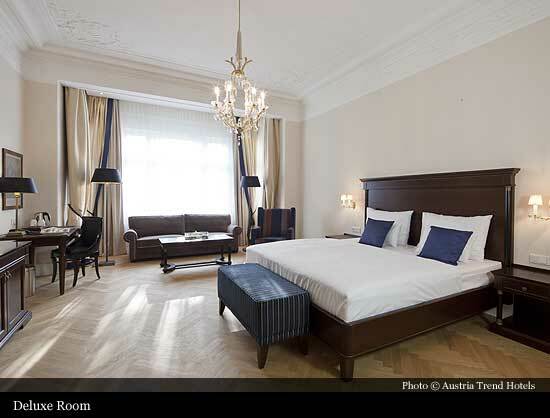 As well as 70 guest rooms and dining rooms, the hotel boasted a ballroom and a Viennese coffeehouse. 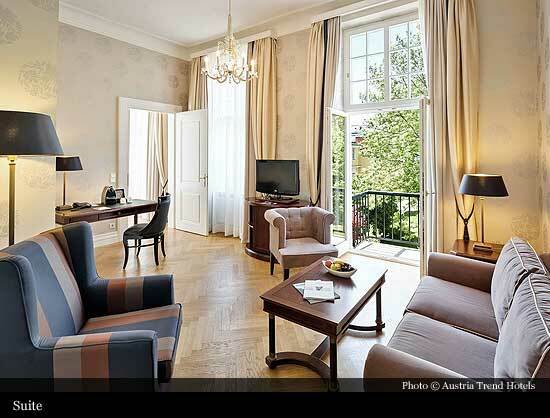 Many of Emperor Franz Joseph’s guests stayed in this first-class hotel in the years that followed, including inventor Thomas Edison in 1911. 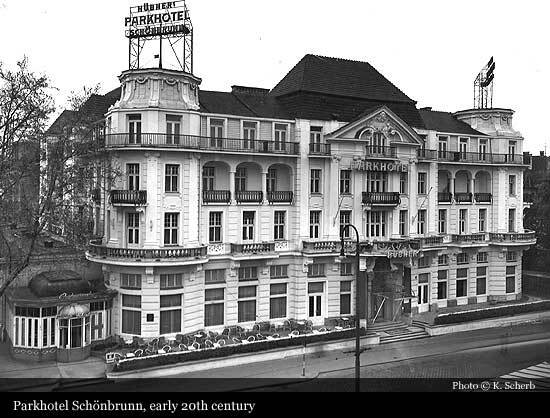 In 1923, the building was partly destroyed by fire, while during the Second World War it was used as a military hospital. 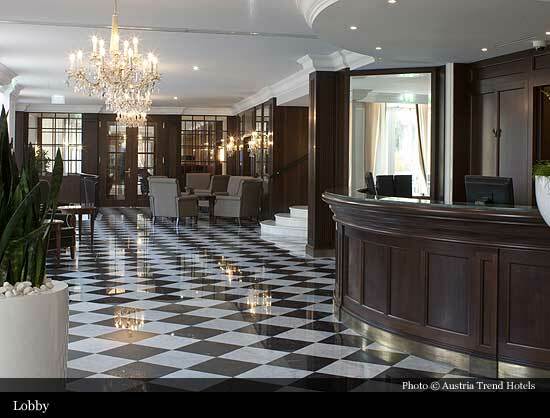 After the war ended and until the hotel was reopened in 1954, it served as the officers’ mess for the British occupation forces. 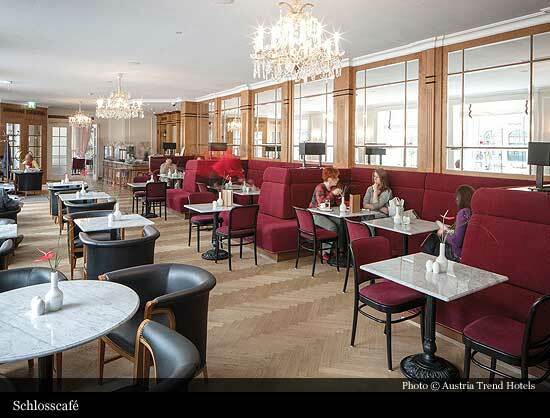 In 1963, following another fire, the hotel was completely renovated and extended to become, at that time, the biggest hotel complex in Vienna. 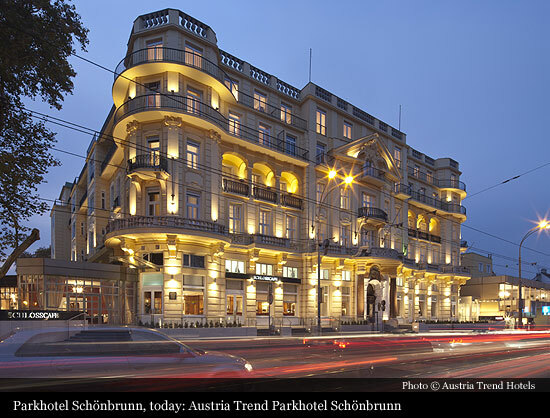 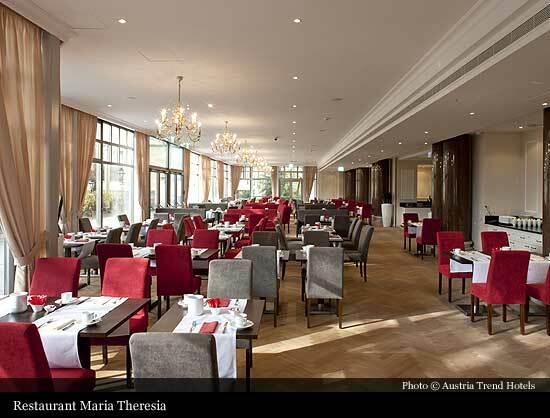 Austria Trend Hotels has operated the hotel since 1999, and in 2010 it was modernised and expanded. 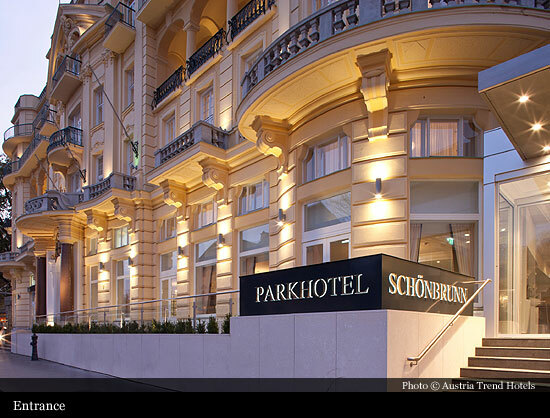 Since the grand opening in November 2011, the Parkhotel Schönbrunn’s unique combination of imperial nostalgia and modern conveniences has allowed guests to experience all the aspects of true Viennese charm in perfect comfort.